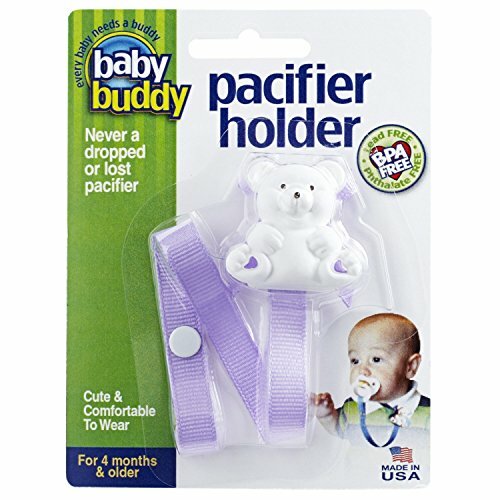 Bear Pacifier Holder: With its 3 dimensional bear and assortment of fashionable ribbon colors, our pacifier holder is still at the top of its class. A durable, "super grip" metal clip attaches securely to baby's clothing, car seat cover or stroller. Assorted colors. Made in USA.